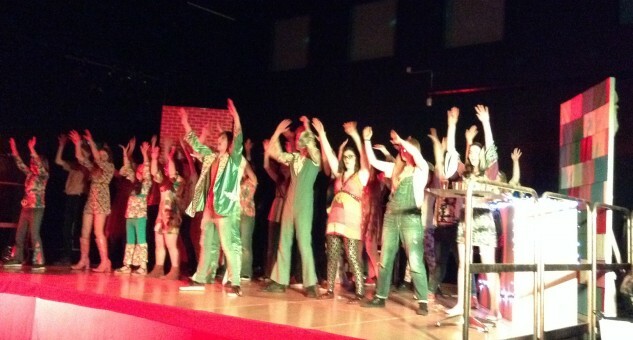 Students here at Huntcliff captivated a sold out audience in the opening night of their annual production, ‘Disco Inferno’ – a lively and colourful musical set in the 1970s. On Thursday 14th April, 250 people watched as talented youngsters from all year groups told the story of an ambitious and talented hopeful, Jack, and his ‘burning’ desire to be the next big musical sensation. Jack, played by Year 11 student Finn Tosh-Wilson, makes a pact with a devilish femme fatale, Lady Marmalade, trading in his soul to fulfil his dreams. Having everything he thought he ever wanted comes at the expense of all things meaningful, most importantly the love of his life Jane, portrayed by Year 11 Amber Beaty. 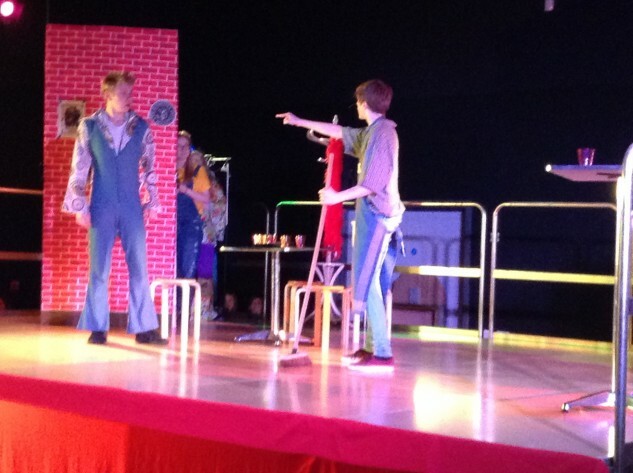 An electric performance of key characters, including Jack’s best friend, Tom, aka 16-year old Matthew Rayson, and his girlfriend, played by Year 10’s Kayla Pratt, was complimented by a supporting cast of performers; from those in Year 7 to those studying GCSE drama and music, who have all been working tirelessly to perfect their roles, including during school holidays. There was also the added complexity of double casting as a result of so many students wishing to take part – Lady Marmalade was superbly depicted by both Niamh McConnell in Year 10 and Year 9 student Megan Hill on the first and second night respectively. Audience participation was in full swing, helped by glow sticks, and novelty headbands and glasses, and there were some 1970s themed party refreshments on offer, including pineapple and cheese sticks, mocktails and sangria, as well as home-made fairy cakes. Mrs Shevels, Music Teacher and Subject Leader of the Performing Arts Department, said, ‘I am so proud of all the students who took part, especially as we were working for the first time live with our student band’. She also went on to say ‘it’s quite fitting as a swan song for some fantastic Year 11 students who we will be sad to lose after they’ve sat their GCSE exams in the summer’. Mr Eyre congratulated everyone involved, including a special mention to those working behind the scenes. 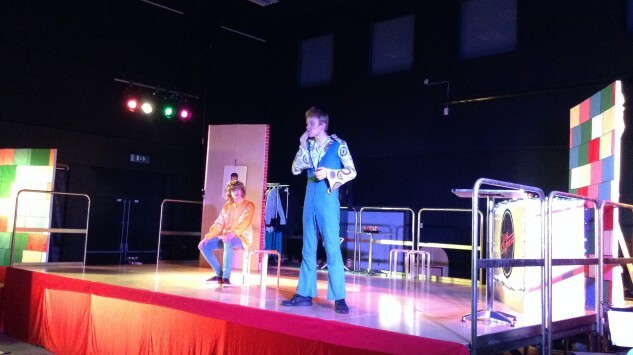 Huntcliff’s Head of School, Mrs Juckes said the show had been amazing, honouring the Department, which also comprises Drama Teacher, Miss Peacock. The second night on Friday 15th April was also a sell-out, and we are now eagerly awaiting news of what will be in store for next year’s show.